Light Night Leeds is an annual arts and light festival held across Leeds city centre, the themes for this year areprogress and innovation. 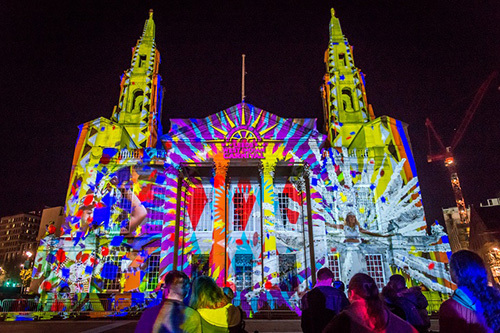 Light Night is one of the UK’s largest annual arts and light festivals, and over two special nights some of Leeds’ most recognisable indoor and outdoor spaces will be transformed by spectacular artworks and captivating performances by local, national and international artists. Over sixty art events will take place across ten zones in the city. The art events take a variety of fors from large scale light projections, to dance, to music, to interactive works.